Butterflies have been really busy exploring movemnets and marks in our paint this month. 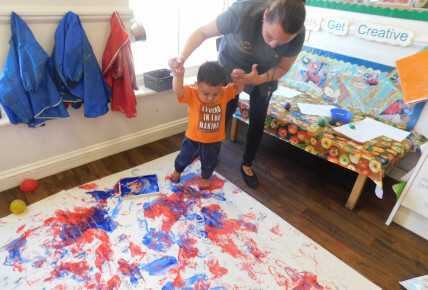 The children took off their shoes and stepped in the paint before walking around on the paper to create their own marks. 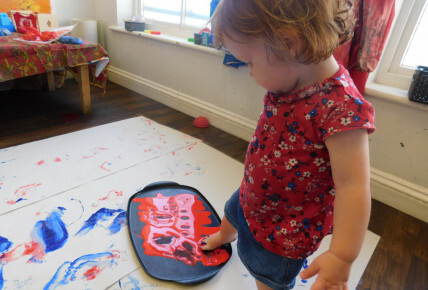 The children were encouraged to use lots of language such as stamp, walk, pat, tip toe and step.